I'm a fan of poached eggs... BUT I seem to have issues making them the traditional way. They never turn out for me. 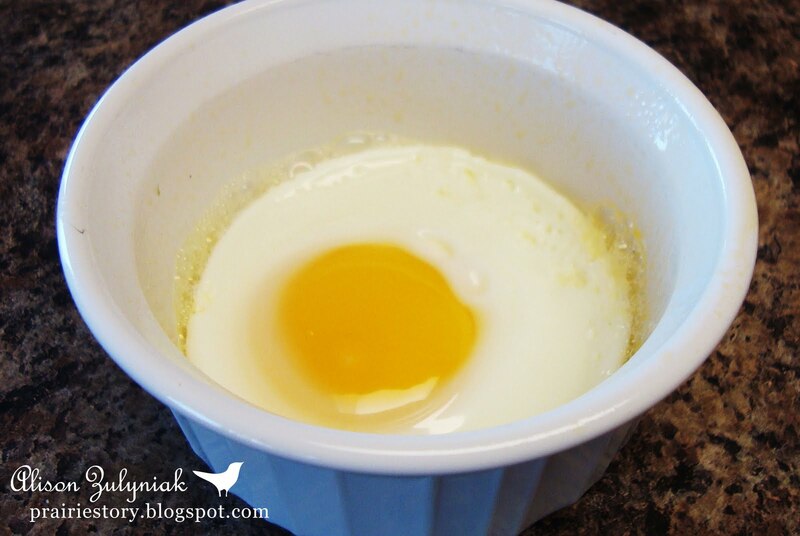 So after a little bit of experimenting, I have found this easy and quick way to make eggs that are pretty close to poached, by simply using a small ramekin and microwaving. 1) Spray the ramekin with some cooking spray or grease with a little margarine. 2) Crack and add egg. Add salt and pepper if you like. 3) Cover with saran. The eggs can pop and splatter and make a big mess. 4) Microwave for 30 seconds. Check, and depending on size of egg and your preference to how soft it is you may need to nuke for another 15-30 seconds. Also, the egg will continue to cook for a bit after you removed from microwave. 5) Use a knife or spoon to coax the egg out to serve! 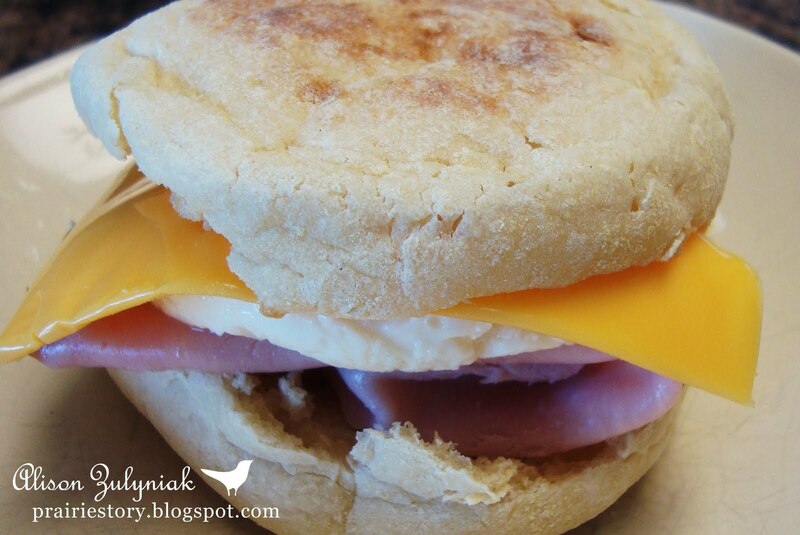 These eggs are the perfect size to make a breakfast sandwich and fit in an English Muffin along with some ham and cheese. I also use these eggs to make Eggs Benedict! Need to make more than one Quick Egg? No problem. I've fit as many as 6 egg filled ramekins in my microwave and calculate cook time based on 30 seconds / egg. Quick and easy! i LOVE poached eggs. I just pot an egg poacher/frypan from Costco for $20! But when I'm in need of a quick fix I microwave them! Still finding the perfect time-varies depending on your microwave! What a great simple way to fix an egg, will be keeping this in mind for those busy mornings!